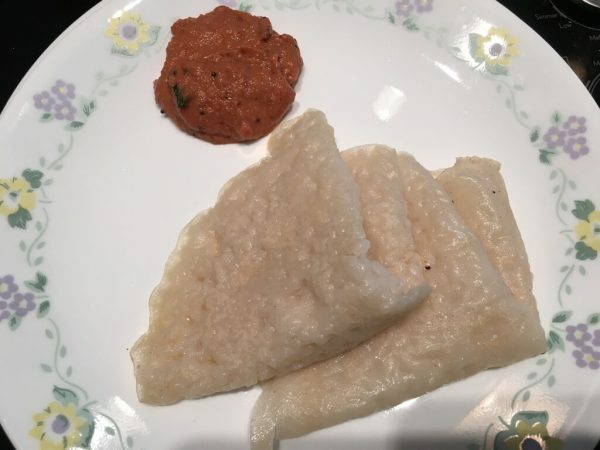 This is a Karnataka recipe that I found online, and there are many many sites with this recipe. It's easy, and quick. Neer means water in Kannada, as well as Tamil. This is a very light dosa, with no lentils, and no fermentation needed. Take a ladleful of the batter, and pour on the pan; now take the pan by the handle and swirl it so the batter spreads; if the pan is hot enough, and the batter the right consistency, it'll form little holes all over the dosa as it spreads. When both sides are cooked, remove the dosa to a plate. It's typically folded into fourths, and presented like a triangle, from what I've seen online. Enjoy with a chutney of your choice! I have never had this dosa made by a Kannada person, so I can't say my method or the taste is authentic. But I can say that it's good! My recipe is an aggregation of the most popular ones for this dosa that google found for me!